Here we can discuss how you can set up the User Directory. This is commonly used if you want to route calls to specific agents or users. Under Show User Directory, select the User Directory that you want to edit then click on the dropdown arrow under action and click on Edit. 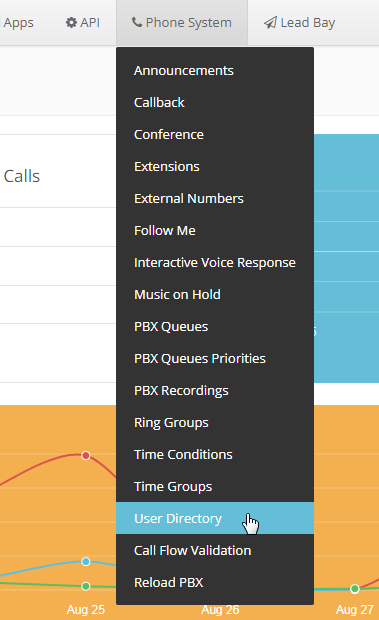 CallerID Name Prefix - Prefix to be appended to current Caller ID Name. 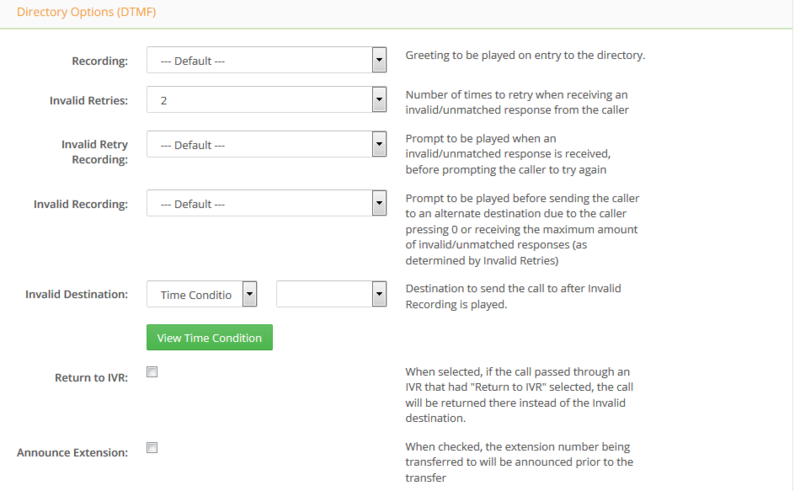 Return to IVR - When selected, if the call passed through an IVR that had "Return to IVR" selected, the call will be returned there instead of the Invalid destination.